SIX MONTHS OF LIFE LOOKS PERFECT. | Life Looks Perfect. SIX MONTHS OF LIFE LOOKS PERFECT. Hello lovely readers! We actually can't believe 6 months has past since the birth (ewwwrr slightly thinking of actually giving birth- that's not what we meant!) but since we began our own little world of beauty, fashion and all things we love to write about. Since our last monthly post, we have found it extremely hard to keep up with our blogging schedule! We hope the blog hasn't suffered, as we always post only things we love to write about and not just to fill up space! However it has been a busy old time, with Becki working all hours under the sun and Jess, well there is no other way of putting it abandoning taking a break from Life Looks Perfect, as she jetted across the globe, us two have hardly been able to catch up! 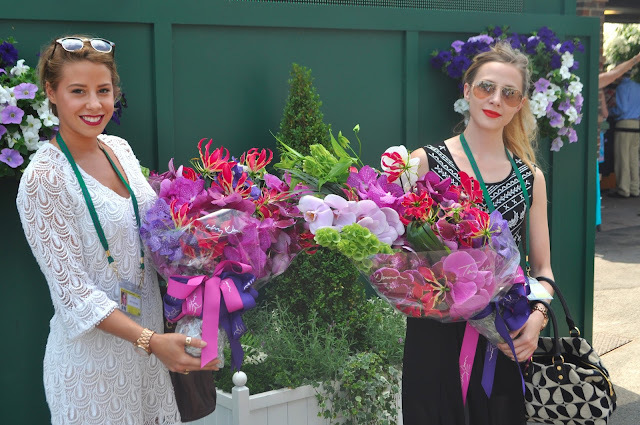 But as you would have all read, well hopefully you had a glance, we had the most wonderful time at Wimbledon Tennis on the Ladies Final Day. As a treat for Jess' 21st, as she was in NYC on her birthday, the whole Dunn clan aka Mum and Dad, had a fabulous day sipping Champers and eating strawberries (BTW did you know that Jess HATES any kind of berry! Weirdo!) so minus the strawberries for Jess! In our little blogging world, we have been so lucky to be invited to a few blogger events to sample and see some new beauty products launching very soon! For us this is why we love what we do, as it is so exciting to see and learn about all things new and sharing them with you. Blogging events are a great way of making new friends and all the brands and PR, we have met, have been so kind. Of course we are still newbie bloggers but we are so passionate about beauty and Life Looks Perfect that we hope to be able to go to a few more events soon. At home, we have some big news with Jess moving back into our family home in August! This means our blog will only grow from strength to strength, with us being able to do more together. We are also hoping to move into the world of Youtube very soon! But it is scary territory! So keep an eye out Ladies & Gents (please be nice ahhhh)! To finish, we just wanted to say thank you so much for supporting, reading and loving Life Looks Perfect and that without you we still would just be too slightly crazy sisters talking to each other! So as a treat ooohhh and awwww over this little cutie, who we must say hasn't been coping too well in the heat, hence his under the table hide out!